“It is indeed natural for us to wish and to plan, and it is merciful of the Lord to disappoint our plans and to cross our wishes. For we cannot be safe, much less happy, except in proportion as we are weaned from our own wills, and made simply desirous of being directed by His guidance. This truth (when we are enlightened by His Word) is sufficiently familiar to the judgment; but we seldom learn to reduce it to practice without being trained awhile in the school of disappointment. The schemes we form look so plausible and convenient that when they are broken we are ready to say: ‘What a pity!’ We try again, and with no better success. We are grieved, and perhaps angry and plan out another, and so on. At length, in the course of time, experience and observation begin to convince us that we are not more able than we are worthy to choose aright for ourselves. Then the Lord’s invitation to cast our cares upon Him and His promise to take care of us appear valuable; and when we have done planning, His plan in our favour gradually opens, and he does more and better for us than we could either ask or think. I can hardly recollect a single plan of mine of which I have not since seen reason to be satisfied that had it taken place in season and circumstance just as I proposed, it would, humanly speaking, have proved my ruin. Or at least it would have deprived me of the greater good the Lord had designed for me. We judge of things by their present appearances, but the Lord sees them in their consequences. If we could do so likewise, we should be perfectly of His mind; but as we cannot, it is an unspeakable mercy that He will manage for us, whether we are pleased with His management or not. And it is spoken of as one of his heaviest judgments when He gives any person or people up to the way of their own hearts and to walk after their own counsels. Indeed, we may admire His patience towards us. If we were blind, and reduced to desire a person to lead us, and should yet pretend to dispute with him and direct him at every step, we should probably soon weary him, and provoke him to leave us to find the way by ourselves if we could. But our gracious Lord is long-suffering and full of compassion; He bears with our impertinence, yet He will take methods both to shame and to humble us, and to bring us to a confession that He is wiser than we. The great and unexpected benefit He intends us by all the discipline we meet with is to tread down our wills and bring them into subjection to His. So far as we attain to this we are out of the reach of disappointment, for when the will of God can please us we shall be pleased every day and from morning to night – I mean with respect to His dispensations. O the happiness of such a life! I have an idea of it; I hope I am aiming at it, but surely I have not attained it. Self is active in my heart, if it does not absolutely reign there. I profess to believe that one thing is needful and sufficient, and yet my thoughts are prone to wander after a hundred more. If it be true that the light of His countenance is better than life, why am I solicitous about anything else? If He be all-sufficient and gives me liberty to call Him mine, why do I go a-begging to creatures for help? If the smallest as well as the greatest events in which I am concerned are under His immediate direction, if the very hairs of my head are numbered, then my care (any further than a care to walk in the paths of His precepts and to follow the openings of His providence) must be useless and needless – yea indeed sinful and heathenish, burdensome to myself and dishonourable to my profession. Let us cast down the load we are unable to carry, and if the Lord be our Shepherd, refer all and trust all to Him. Let us endeavour to live to Him and for Him today and be glad that tomorrow, with all that is behind it, is in His hands. 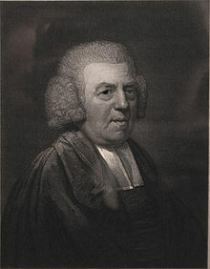 – John Newton (1725-1807), The Letters of John Newton, Two Letters to Miss P, Letter I, August 17, 1767.
of the churches in Wittenberg. Dear friends, I am now supposed to preach a sermon at the funeral of our dearly beloved father, blessed Dr. Martin, and gladly do so. But what shall I say and how shall I speak, since I probably will not be able to utter a word because of my tears? And who shall comfort you if I, your pastor and preacher, cannot speak? Where can I turn from you? I will, no doubt, cause more crying and mourning with my sermon. For how should we not all mourn heartily, since God has sent us this sorrow and has taken from us the noble and dear man, the venerable Dr. Martin Luther? Through him God has rendered inexpressible gifts and grace to all of us and to all the churches of Christ in Germany, as well as to many in foreign countries. Through him God has also triumphed gloriously over the kingdom of Satan and against so much shameful idolatry and human ordinance, indeed, as Paul says, against the devil’s teachings throughout the world, and has revealed to us in the Gospel the sublime, great heavenly secret, his dear Son Jesus Christ (as Paul also says in Ephesians and Colossians). Through him, our dear father, Christ has defended his Gospel against the grievous pope and various rabble and tyrants, indeed, against all the portals of hell. He gave to this dear man the spirit of power and strength so that he is afraid of no one, however great and mighty he may be. He held so boldly to the Gospel and to pure doctrine that the world often believed that he was too sharp and too excessive with his rebuking and scolding, just as the Jews and Pharisees, the bitter and poisonous vipers, accused Christ, for it hurt them severely and caused them pain that they were chastised by means of the pure truth. However, they did not accept the salutary teaching. God has taken away from us this great teacher, prophet, and divinely sent reformer of the church. Oh, how can we cease mourning and crying? How can we, after all, obey the dear Paul here when he says: “You should not grieve because of those who are asleep?” But he adds immediately: “Like the others who have no hope.” We who believe know that those who have fallen asleep in Christ will be awakened again to a better life where we will meet them again and be together with them eternally. However, the world was not worthy to have this dear man of God any longer, to continue to slander and persecute him. Albeit, that same, ungrateful world received much good through this great man, especially that it has been freed from a variety of oppression and tyranny of the loathsome papacy. Therefore, many of the adversaries (who still have some wisdom and understanding) would have preferred that the dear man had continued to live for a long time. This I have said initially, that we truly have great cause to mourn heartily since we have lost such a great and dear man. And truly (since this may help a bit) Christian kings, princes, and cities and all who have recognized the Gospel of truth mourn with us. Therefore, we do not mourn alone, but many thousands in Christendom mourn with us from time to time. It was not fitting that the current, grievous pope, the Cardinal of Mainz, or Duke Henry (all of whom he enraged mightily with the truth) should ever delight in the death of this man. And I hope that the adversaries will not delight in his death for long. For the person has indeed died in Christ, but the mighty, blessed, godly doctrine of this precious man still lives most powerfully. For after the teaching of this angel, another angel will follow, who will proclaim comfort to the sorrowful and persecuted church and the lightning and thunder of eternal judgment and condemnation against the adversaries, as, after all, the other angel said: “She has fallen; she has fallen, Babylon, the great city.” Therefore, the adversaries will not rejoice long over our sorrow, as Christ also says in John 16: “Your sorrow shall turn to joy.” For according to Revelation, the aforementioned fourteenth chapter, we see that this has happened before and still happens. If Revelation has some validity, then the other will, without doubt, follow. But, oh, how do I ramble on so with my sermon in this time of our crying and sorrow? This is enough said about our rightful mourning, for we mourn justly that such a dear man, a proper bishop and shepherd of souls, has departed from us. 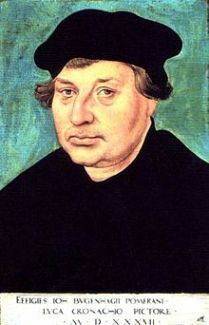 But in this sorrow we should also rightly recognize God s grace and mercy to us and thank God that he has awakened for us through his Spirit this dear Dr. Martin Luther against the antichristian doctrines of the abominable, satanic pope and against the devil’s doctrines only one hundred years after the death of the holy John Hus (who was killed for the sake of the truth in the year 1415), just as John Hus himself prophesied before his death about a future swan. Hus means “goose” in the Bohemian language. “You are now roasting a goose,” (says John Hus), “but God will awaken a swan whom you will not burn or roast.” And as they shouted much against him, which he could not answer, he supposedly said: “After one hundred years I will answer you.” He has done that uprightly through our dear father, Dr. Luther, and has begun it precisely in the one-hundred-and-first year. Yes, we should thank God that he preserved this dear man for us and his churches in the violent disputes, in so many difficult conflicts, and that through him Christ has triumphed so often now for almost thirty years. To the Lord Christ be praise and honor in eternity. Amen. What kind of peace or comfort the believers have and what kind of anxiety or torment the unbelievers have in the meantime, until the day of judgment, we cannot say so precisely on the basis of Scripture. Scripture says that they are asleep, as Paul says in Thessalonians, “concerning those who are asleep.” However, just as in natural sleep the healthy rest in a sweet sleep and are thereby refreshed and become stronger and healthier, while the sick or the sorrowing and especially those who are in the terror or fear of death sleep with difficulty, with horrible dreams, and restlessly so that sleep is not rest for them but a more frightful, more desolate unrest than being awake, in the same way there is a difference between the sleep of the believers and the godless. But about this we cannot speak further or infer other than what the words of Scripture say. Our dear father Dr. Martin Luther has now attained what he often desired. And if he were to return to us again now, he would reprimand our mourning and faint-heartedness with the word of Christ from John 16: “If you loved me you would rejoice because I go to the Father, and you would not begrudge me this eternal rest and joy.” Christ has conquered death for us. Why, then, are we afraid? The death of the body is for us a beginning of life eternal through Jesus Christ our Lord, who has become for us a noble, precious sacrifice. Master Ambrosius Bernardus von Goterboch, my dear brother and a truly pious man who loved Christ, was here with us in Wittenberg at the university. For several days before his end he lay very weak and sick unto death, and yet God took from him the feeling of his sickness as if he were already in another life. He spoke with us how he wanted to come to us and be joyous with us. He did not know at all that he was so ill and had to die. He certainly did not see death. Therefore, he could not be afraid of death. Indeed, he was no longer in this life except when one spoke of Christ. Then he confessed freely from his heart the great grace and bliss that has been given to us by the heavenly Father in Christ, for he loved Christ and was in the habit of praying gladly and of calling on God the Father in Spirit and truth. If one then wanted to tell him soon thereafter (as one who had come to his senses) about his beloved wife, children, house, money, debt, etc., he was soon out of his senses again and as if in another world, (although he recognized us all and called us by name), spoke joyously, with laughter and charming jest, concerning other matters in such a manner that one, who was unaware of his delirium, might think that he was wholly well and had to lie in bed because of boredom, etc. But our dear Lord Jesus Christ took him out of this life to himself in this state of delirium and yet in the good confession of the Christian faith. Thus he was already dead to this world for several days before he died, for he knew nothing on this earth of which he needed to be concerned. Indeed, he was relieved of everything so that he also did not experience his sickness and was not concerned about his death. Indeed, he also did not see death. How, then, could he be afraid of sin and death? Thus we saw in him plainly the word of Christ from John 8 which every believer experiences: “If someone keeps my word, that person will never see death.” For even if they do not all die so easily as this Ambrosius, but with great pain, as the Son of God himself died on the cross, yet when the dear hour comes, they see life and not death and all of them say: “Father, into your hands I commend my spirit.” In this way our Lord Jesus Christ took our dearly beloved father, Dr. Martin, to himself with such a blessed parting from this vale of tears. To God be praise and thanks eternally. During the illness of Master Ambrosius, when I saw that he also did not sleep, I asked two medical doctors that they prepare a strong drink to help him sleep. They responded that this would be dangerous and that they might be given blame if something went wrong. I said: “I will be responsible even if he were to die. Give it to him in God’s name as a desperate act. Who knows, it might help.” The doctors gave him such a drink, but not as strong as I desired, for they were somewhat concerned. Then he fell into a mighty sleep so that he slept almost two hours. However, when he awoke he felt his pain and complained about it and spoke intelligibly to his wife about all sorts of urgent matters. But soon thereafter, after about an hour-and-a-half, he was again in his happy condition, as before. He was no longer aware of this world until he gave up his spirit to Christ a few days later. I have now gladly recounted this blessed and joyous story about Master Ambrosius, our dear brother, for two reasons. First of all, that I might stop you dear ones a bit from your howling and crying, which have now rightly overtaken us. God has made us sad. May his grace comfort us again. Secondly, so that this story may be of help to us in the matter concerning which we are now speaking. For this Master Ambrosius was Dr. Martin’s brother-in-law. Therefore, Dr. Martin visited him so much in his illness, and when he spoke with him about Christ, then Ambrosius also spoke about Christ according to the dear Gospel, as we have said. But when he wanted to speak to him about his wife, children, and goods, etc., Ambrosius knew nothing about such things but soon fantasized happily with unrelated words, as we have said before. He especially said to the Doctor with laughter and thanksgiving: “Sir Doctor, thank you for visiting me. I will visit you again some evening. At that time we will have a good supper together, and I will then speak with you about many joyous matters.” Indeed, they may both be accomplishing this in the life eternal to which they have both traveled. In this life they were unable to meet in this way. I often had to hear such things from my dear father, and when he noticed my annoyance, at times probably also from my words, he said to me: “Implore our dear Lord God that He may soon take me to Himself from here. I can do nothing more on earth. I am no longer of use to you. Help me with your prayer. Do not ask that I live longer.” Now, everyone can, no doubt, imagine how I responded to such words of my dear father, our dearly beloved Doctor. All of this indicates how eagerly he desired, in his last days, to be rid of this miserable life and to be with Christ. Thereby he also sang his consummatum est and commended his spirit into the heavenly Father’s hands. There were also advance indications that our dear father, Dr. Martin, would wander into a better life, for throughout this whole year he often said to us that he desired to go to another place. He also traveled more in this year before his death than he had done in many years, namely to his homeland in Mansfeld, to the Bishop of Zeitz, to Merseburg, to Halle. These were an indication and prophecy that he would undertake this blessed journey into a better life. Therefore, it also happened that he departed and left this life while he was with the noble and honorable Counts of Mansfeld in the city of Eisleben, where he was born and baptized. This was as he had desired, except that he would have preferred to be with us at that time, with his wife and children. But God ordained it otherwise. Then he folded his hands and gave up his spirit to Christ in grand silence. Therefore we should also justly rejoice with him, as much as we are able to do so in our grief. Here I must remember the holy Bishop, St. Martin, concerning whom history says that all heretics turned pale and faded at the mention of his name. Furthermore, there was a great crying and mourning on the part of all believing and true Christians at the death of St. Martin. Furthermore, a dispute and quarrel arose among several cities and territories about who should retain the body of St. Martin and where he should be buried. All of this happened in similar fashion with this holy apostle and prophet of Christ, our preacher and evangelist in the German territories, Dr. Martin. But about this I do not want to speak at length. God himself now holds him precious and beloved and sustains him in his bosom who in this life dearly loved us and the churches of Christ. May God requite it to our dearly beloved father in the life to come, where we all also hope to join him. May God grant that the Spirit of God may also be spoken of doubly with regard to the descendants and in the churches planted by the dear father than was spoken of by the lofty, dear man, as the prophet Elisha petitioned from Elijah, who was taken from Elisha in a storm. Pestis eram vivus, moriens tua mors ero Papa. That is in German: “Pope, pope, when I lived I was your pestilence. When I die I will be your bitter death.” God be praised eternally through Jesus Christ our Lord. Amen. 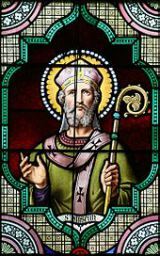 Anselm of Canterbury (c. 1033-1109): Is it proper for God to put away sins by compassion alone, without any payment of debt? Whether it were proper for God to put away sins by compassion alone, without any payment of debt. Anselm. Let us return and consider whether it were proper for God to put away sins by compassion alone, without any payment of the honor taken from him. Boso. I do not see why it is not proper. Anselm. To remit sin in this manner is nothing else than not to punish; and since it is not right to cancel sin without compensation or punishment; if it be not punished, then is it passed by undischarged. Boso. What you say is reasonable. Anselm. It is not fitting for God to pass over anything in his kingdom undischarged. Boso. If I wish to oppose this, I fear to sin. Anselm. It is, therefore, not proper for God thus to pass over sin unpunished. Anselm. There is also another thing which follows if sin be passed by unpunished, viz., that with God there will be no difference between the guilty and the not guilty; and this is unbecoming to God. Boso. I cannot deny it. Anselm. Observe this also. Every one knows that justice to man is regulated by law, so that, according to the requirements of law, the measure of award is bestowed by God. Boso. This is our belief. Anselm. But if sin is neither paid for nor punished, it is subject to no law. Boso. I cannot conceive it to be otherwise. Anselm. Injustice, therefore, if it is cancelled by compassion alone, is more free than justice, which seems very inconsistent. And to these is also added a further incongruity, viz., that it makes injustice like God. For as God is subject to no law, so neither is injustice. Boso. I cannot withstand your reasoning. But when God commands us in every case to forgive those who trespass against us, it seems inconsistent to enjoin a thing upon us which it is not proper for him to do himself. Anselm. There is no inconsistency in God’s commanding us not to take upon ourselves what belongs to Him alone. For to execute vengeance belongs to none but Him who is Lord of all; for when the powers of the world rightly accomplish this end, God himself does it who appointed them for the purpose. Boso. You have obviated the difficulty which I thought to exist; but there is another to which I would like to have your answer. For since God is so free as to be subject to no law, and to the judgment of no one, and is so merciful as that nothing more merciful can be conceived; and nothing is right or fit save as he wills; it seems a strange thing for us to say that be is wholly unwilling or unable to put away an injury done to himself, when we are wont to apply to him for indulgence with regard to those offences which we commit against others. Anselm. What you say of God’s liberty and choice and compassion is true; but we ought so to interpret these things as that they may not seem to interfere with His dignity. For there is no liberty except as regards what is best or fitting; nor should that be called mercy which does anything improper for the Divine character. Moreover, when it is said that what God wishes is just, and that what He does not wish is unjust, we must not understand that if God wished anything improper it would be just, simply because he wished it. For if God wishes to lie, we must not conclude that it is right to lie, but rather that he is not God. For no will can ever wish to lie, unless truth in it is impaired, nay, unless the will itself be impaired by forsaking truth. When, then, it is said: “If God wishes to lie,” the meaning is simply this: “If the nature of God is such as that he wishes to lie;” and, therefore, it does not follow that falsehood is right, except it be understood in the same manner as when we speak of two impossible things: “If this be true, then that follows; because neither this nor that is true;” as if a man should say: “Supposing water to be dry, and fire to be moist;” for neither is the case. Therefore, with regard to these things, to speak the whole truth: If God desires a thing, it is right that he should desire that which involves no unfitness. For if God chooses that it should rain, it is right that it should rain; and if he desires that any man should die, then is it right that he should die. Wherefore, if it be not fitting for God to do anything unjustly, or out of course, it does not belong to his liberty or compassion or will to let the sinner go unpunished who makes no return to God of what the sinner has defrauded him. Boso. You remove from me every possible objection which I had thought of bringing against you. “7. 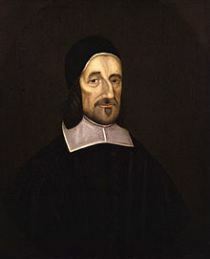 There must be a prudent mixture of severity and mildness both in our preaching and discipline; each must be predominant, according to the quality or character of the person, or matter, that we have in hand. If there be no severity, our reproofs will be despised. If all severity, we shall be taken as usurpers of dominion, rather than persuaders of the minds of men to the truth. 8. We must be serious, earnest, and zealous in every part of our work. Our work requireth greater skill, and especially greater life and zeal than any of us bring to it. It is no small matter to stand up in the face of a congregation, and to deliver a message of salvation or damnation, as from the living God, in the name of the Redeemer. It is no easy matter to speak so plainly, that the most ignorant may understand us; and so seriously that the deadest hearts may feel us; and so convincingly, that the contradicting cavillers may be silenced. The weight of our matter condemneth coldness and sleepy dullness. We should see that we be well awakened ourselves, and our spirits in such a plight as may make us fit to awaken others. If our words be not sharpened, and pierce not as nails, they will hardly be felt by stony hearts. To speak slightly and coldly of heavenly things is nearly as bad as to say nothing of them at all.